CFAR 2017: And the Speakers Are…. 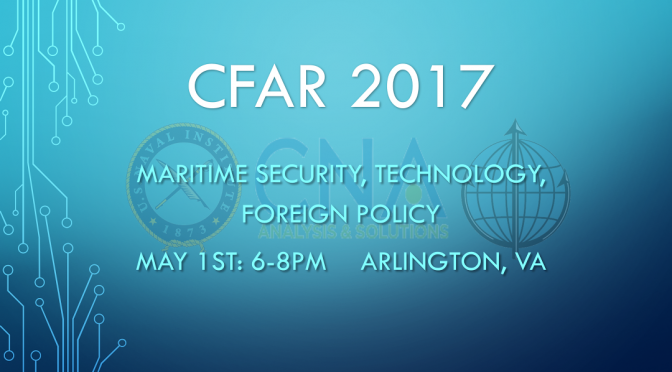 We’re happy to announce the following speakers for the 2017 CIMSEC Forum for Authors and Readers (CFAR) on May 1st, top vote-getters in their respective categories. Congratulations to the authors, presenters, and all the nominees!